Administration seeks to reunite children with parents arrested when illegally crossing US border. The administration of US President Donald Trump temporarily suspended the prosecution of parents who illegally cross the border into the US with their children, according to a report by the Washington Post. 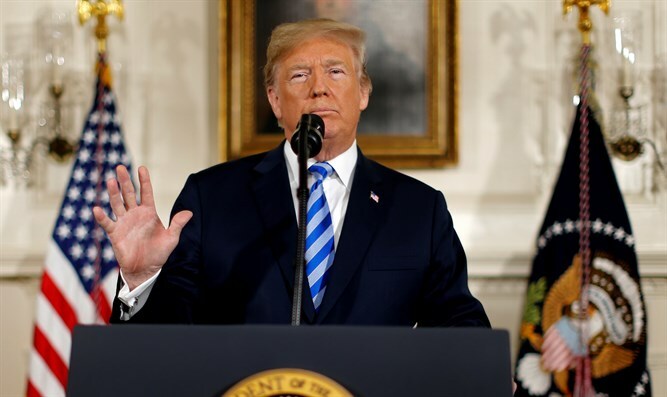 The move constitutes a shift by the Trump Administration from its 'zero tolerance' policy on illegal immigration, and comes one day after Trump signed an executive order ending the separation of illegal immigrant families at the border. "We’re suspending prosecutions of adults who are members of family units until ICE (Immigration and Customs Enforcement) can accelerate resource capability to allow us to maintain custody,” an administration official said. President Trump said Thursday that he would direct federal agencies to find a way to reunite migrant children with their parents who were being detained and awaiting prosecution. Trump's daughter, Ivanka, wrote that it was time to focus on reuniting families which had been separated. “Now that an EO has been signed ending family separation at the border, it is time to focus on swiftly and safely reuniting the families that have been separated,” she tweeted.